Survivors of the Parkland school shooting are staging a protest at Publix with student activist David Hogg leading the charge. Earlier in the week, Hogg called for a “die-in” Friday afternoon at Publix, which means people will lie down in the store and disrupt business. RELATED: Shooting at Indiana middle school, suspect in custody. 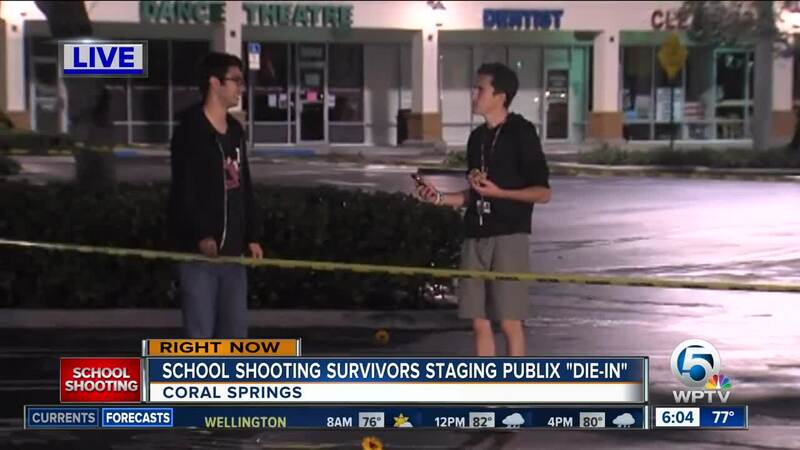 Hogg and others were already gathered in a Publix parking lot in Coral Springs before sunrise Friday. “I think what’s more powerful is the symbolism of how the tears have washed away our kids and how this year, and this Memorial Day, we are at the point in our country that more kids have died in school then service members have died serving our country this year, what does that say about our country,” said Hogg on Friday morning. 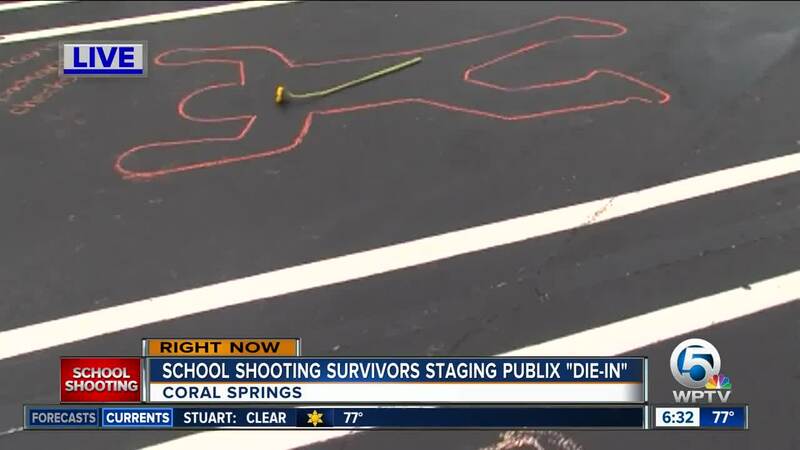 He and others outlined in chalk 17 bodies to represent the 17 people killed on Feb. 14 and Marjory Stoneman Douglas High School. “We are calling on people (Friday) at 4 p.m. to lie down in front of the cash registers at Publix in their stores at 4 p.m. for 12 minutes,” said Hogg. "One of the really big things is that we are not actually against the Publix employees, or hard work, they are doing, just the same way we aren’t against NRA members. We are against the Publix corporation so absolutely don’t give them any hate,” said Diego Pfiffer, a student protesting Friday. Parent Manuel Oliver and Hogg are organizing it. “That’s about 720 seconds and that’s supposed to represent the amount of school shootings that we’ve had in recent history,” said Hogg. They are protesting Publix’s donations to conservative gubernatorial candidate Adam Putnam, who is pro NRA and anti-LGBTQ, according to the ACLU and the HRC, based on his voting record. It was another issue brought up by Hogg. “Publix can stand with us. They can pull out their half million dollars from Putnams campaign, and they can double that amount and donate it to the Stoneman Douglas victims fund,” said Hogg. “I’m not afraid of big corporations and David is not either,” said Oliver.